I am sure you have heard the expression, “it was written in the stars”. When it comes to Astrology, the stars tell us a lot about relationships, and which signs will get along and work well together according to the Zodiac. Do you currently have a crush? If so, you might find yourself wondering, are we compatible? As you get older, you will find that a lot of the people that you have crushes on are not meant for you. Your first love is usually a lot like a school lesson, in which you learn what you want, need and desire from another person. All your relationships (leading to the one who you end up with) help you to learn what you want. If you haven’t found that somebody yet, it is not to say that one day you won’t, you are young and it is better to pace yourself and see what is out there. In fact, because you are so young you should not worry about finding that special person, just enjoy yourself, be true to yourself, make good connections and try not to take matters too seriously. Regardless, when you do have a crush, it is hard not to ask, are we meant to be? Will will be good together? What exactly does that even mean. You might not be able to change the reality of how things turn out, but you CAN change how you think about it, how you handle it, and what you do for yourself in order to get over it. If you do date a boy/girl try to be cool with them after, and lessen the awkward feeling of having to run into each other every day. Life is short, and if you chose harmony over hate, you probably will not regret it. Yes, there are “Astrological soul mates”, people with charts and elements that really are in a sense “written in the stars”and connect with each other on a deeper level. Remember, it is unlikely that you will get everything you need from one person. There is the concept that we each have multiple soul mates in the world. The concept of 'soul' is s large, it cannot be limited to one single, deep connection. You will find that you have multiple soul mates because you cannot depend on one person to give you everything that you need. 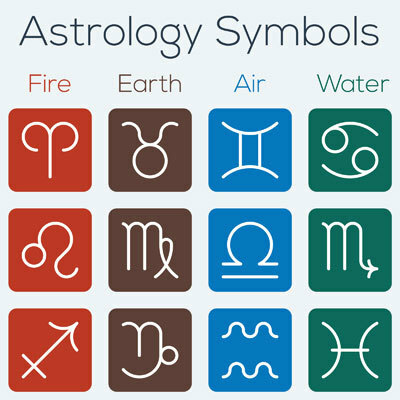 Astrology is defined and expressed through the expression of elements (earth, air, water, fire), and naturally, certain elements compliment each other better than others. There are several element-related stereotypes that exist like "water kills fire" or "water and fire just don't mix", but these findings are often proven inaccurate. Everyone has a unique birth chart, and your dominating elements might not necessarily be identical to your prescribed star sign. Therefore, if you don’t read below that you and your crush are compatible, do not assume it is because you aren’t compatible. It really depends on the planet Venus (the planet of love and relationships which is in your chart) and what signs you and your partner have in this placement. Some of the best matches are not “written in the stars”, but full of great potential that is inspired by chemistry, diversity and life experience. Keep in mind that if you are a cusp sign, born on the verge (within ten days) of two signs then you should read the compatibility reports for both of those signs. Compatibility doesn’t always result in a romantic affair, but perhaps a life long friendship, or even just an unspoken connection or understanding. Also, if you are hanging out with a particular sign, read about their compatibility with other people, it could prove to be telling of their relationship styles, needs and tendencies. Aries is most compatible with their fellow fire signs, Leo, Sagittarius and sometimes other Aries. Leo loves people with positive, upbeat and motivating energy—Aries will be attracted to this. Fire and fire will both love making new friends, going on exciting adventures and having good times basically anywhere they go. Aries could also work well with an air sign: Libra, Aquarius and Gemini. Aries and Gemini have the ability to have a lot of fun together and become the best of friends. Fire and air tend to understand each other's natures, and together they hold a strong compatibility rate. Socially, they will be on the same page. They are both after similar things like attention, success and popularity. If these two signs are not perfect allies, there might be an underlying layer of competition, which will not be good. In the case of Aries, there needs to be a no-jealousy agreement as Aries is competitive and Gemini will also want to be the best. Gemini is a massive flirt and attracted to a variety of different things, which they feel the need to engage with. Even if their heart is set and devoted, Gemini needs to roam freely. Aries will find attention elsewhere if they are not getting it from their partner. Aries will also be interested in Scorpio, Pisces and Cancer, and while they can develop the most beautiful friendships with them and Aries loves their good-hearted natures, Aries need to be with a partner who can keep up with them. Someone who is emotional, but does not lead with their emotions like water signs can. Someone who falls down and gets back up. Someone confident and kind-of-a-big-deal. Aries wants the best of the pick, and is not easy to win over. Combinations that are not favored here are Virgo, Capricorn or Taurus. Though it is highly possible for Aries and Taurus to form a solid friendship. Earth signs help ground Aries and keep them out of trouble. Taurus is highly compatible with Virgo, Capricorn and other Taurus people. Like these earth signs, Taurus is determined to build a great life through passion, focus and dedication. Taurus is hard-working, generous, grounded and logical. Taurus is 80% compatible with Virgo which is another soul sign match for Taurus. Cancer and Taurus will be the best of friends and the best of partners. They will stand by each other. They will be able to communicate very well. Each has a knack for the same comforts. Cancer will help Taurus open up, allowing them to feel more comfortable. Taurus will feel like they can trust Cancer and Cancer benefits from having an emotionality stable, and highly practical partner. Opposites Taurus and Scorpio can give it a try, but issues will likely present. As two signs of control, who have a hard time talking about their feelings, these two are bound to clash. Taurus will either love or dislike Libra. They have the potential to have a lot of fun together, but Taurus makes demands that flakey Libra can not always keep. Taurus and Aries can only work if one is willing to giving up calling the shot. They can make for great friends, but Aries and Taurus generally have different expectations for how things should go. Taurus works really well with Gemini. These two signs balance each other out nicely, and can become inseparable from the moment that they click. Gemini is naturally compatible with fellow air signs Libra and Aquarius. These signs will share Gemini’s desire for adventure, good people, good food and lots socializing. Air signs have a flare for beauty, fashion, music, friendships and romance. Gemini likes to have a good time and so will other air signs who need to escape a part of their life that they work too hard at. Gemini will also have a special connection with Scorpio. These two signs can find harmony in one another if they are living 'in the moment' and just want to have a good time. Another excellent match for Gemini is Taurus. These two will see eye-to-eye and spend countless time together enjoying the same things. Their signs really compliment each other. Gemini will also be attracted to earth signs like Virgo and Capricorn. The pairing of these matches (long-term or short-lived) is very common, but usually when there is also a Venus compatibility present, like if their birth charts read that their Venus was in a compatible sign or falls under a sign of the same element. Gemini can connect with opposite sign Sagittarius. They can last for years, but as opposites, they will experience tension and problems. Sagittarius is private about their feelings, and Gemini has a hard time talking about theirs. As we can see with Brad Pitt (Sagittarius) and Angelina Jolie (Gemini)—it was not built to last. Gemini does not usually work out with Pisces because they do not have the ability to meet their emotional needs. Though the two can be close friends, especially if the Gemini is born in May. Like all star signs, Cancer is very compatible with signs of their own water element like Pisces and Scorpio. When Cancer connects with these signs it is a true, deep connection. They speak to each other emotionally. They can have amazing conversations and moments. Cancer will feel like Pisces truly understand them and because of this neither is afraid to show their weaknesses. Scorpio will give Cancer the loyalty they crave. Cancer will help Scorpio relax, and have more fun by being goofy with them and making them laugh. Earth signs like Capricorn, Taurus and Virgo are also great for the Cancer. All these signs work really hard and want the best things out of life. Virgo and Cancer balance each other out and tend to value each other’s approach to life. They will make each other laugh. Cancer will be just emotional enough for emotionally vaulted Virgo. Virgo thinks about their feelings more than they talk about them. Cancer and Sagittarius are a likely pairing, but they could face difficulties. The same applies for Cancer and Aries who will be attracted to each other, but might find that they want different things long-term. The also goes for Cancer and Aquarius as these two signs can be attracted to each other and become really good friends, but it just might not last forever. Aries and Leo are highly compatible – this is the dream team of the Zodiac. You can think of this paring as 'the peas and carrots combination' because words don't justify how they jive romantically—they simply just go together. The pairing between Leo and Aries is a lot like the pairing between Scorpio and Pisces. When it connects --it really connects. Aries and Leo will get along, understand each other's perceptions, senses of humor, social expectations and emotional tendencies. Leo is also extremely compatibly with Sagittarius. These two will usually be the best of friends, and make a lot of inside jokes together during their many memories. They will go on a lot of adventures and share a lot of common interests. Leo gets along well with Virgo, and while it might not last forever, these two signs have a connection and will come together without much force. Leo and Pisces can also work well. Warm-hearted Leo can not get enough of sweet hearted Pisces—these two can easily form an ever-lasting and special bond. Gemini, Libra and Aquarius also make great matches for Leo. When their not being competitive, Gemini keeps things exciting for Leo. Libra provides a sense of peace for the busy Lion, and a mouthful of reassurance proclaiming why Leo is so great. Aquarius is the opposite of Leo, in which case is usually beneficial oppose to problematic. Leo can potentially be friends with Taurus, but it is very rare that they will become romantic. Even if every rule, had an exception. Leo and Taurus are too similar the root and both signs of leadership who will like things their way. Capricorn also is not the best match for the Leo because Capricorn will not be able to give Leo the attention and praise that they need. As an earth sign, Virgo both possesses a very strong compatibility rate with Taurus and Capricorn. Taurus and Virgo have common ground. They usually like a lot of the same things, and like to talk privately about matter. These two signs often share the same values and sense of humor. The problems arise because Taurus and Virgo are both signs of control, who want to be in charge, and they will fight for power. This is something that they might need to work on. Though one of the two could be so smitten that they let their partner lead. Virgo and Capricorn can be a very strong and successful team together—they came to win, concur and impress. This pair will be a classy, well-dressed one that understands the needs and wants of each other. Virgo is a hit or miss with their opposite sign Pisces. They have an explosive connection and usually make for the best of friends, but Virgo lacks the empathy that Pisces needs. If these signs learn how to support each other then there probably is potential. Virgo and Scorpio will have a lot of heat and chemistry. Mentally they click because both are so intelligent and prone to having the answers. They may struggle to share how they feel about each other, but they will show it in different ways. Virgo does well with Cancer who can make them laugh. These two will find it easy to talk to each and about anything. Virgo and Leo often have an attraction to each other. They can date and break up or can date and make it work, but regardless these signs should get along. Virgo loves that Leo lives life to the fullest. Virgo trusts Leo and together they can form a solid loyalty and companionship. Signs of the same air element have a playful, charming energy and unique attitude towards life. Libra will work well with Aquarius, but also with Gemini. Gemini and Libra have a 75% percent compatibility rate. They seek the joy in life through charisma, flirtatious and friendliness. They will match each other in terms of favorite activities, and both keep an open and affectionate mind to detail and aesthetic. Libra is not always sure of what they want, but Gemini will help Libra to reach lingering conclusions. Libra is friendly and can get along with anyone if they wanted to, but emotionally they connect (with much fewer people). One of the signs Libra does emotionally connect with is Scorpios. Scorpios help Libra maximize their potential. Sometimes Libra needs a little push to figure out what they want. Scorpio will become someone that Libra can trust and rely on. Scorpio is always down to help the one they care about. Libra will also be great with Leo, Sagittarius and Aries. Leo and Libra will compliment each other nicely, and Sagittarius and Libra will be good adventure partner for Libra-just as long as Libra can keep up with Sagittarius and all the things, which they have pre-planned on doing. While friendship could be life long with Libra and Taurus, it does not always make for the best love matches. Libra and Pisces can also be BFFs, but not work out to be anything further than that. Pisces does not benefit for Libra’s sometimes wishy washy nature. Scorpio is naturally attracted to water and earth signs because Scorpio is both grounded (earth) and empathic (water). Scorpio will work really well with Cancers, and flourish with Pisces. Pisces and Scorpio have a very strong soul mate connection, which creates constant harmony, trust and endless joy. These two will be able to make each other laugh and read the others mind. Scorpio and Pisces tend to get along so well that it is likely (because they have such a fantastic communication connection) that they have never had what either of them would consider to be an argument. Scorpio also work well with Capricorn. Both hard-working, they have similar ideas on how things should go or what the expectation should be. Opposite signs Taurus and Scorpio will attract by nature, but they will often bump heads. Even though it is listed at the end of this article that these signs are 85% compatible, it is actually very rare for this pair to last. They both want to have things their way, they just end up being stubborn towards each other and refrain from talking it through. In most cases, they can not talk it through because Taurus has a hard time taking responsibility for where they have gone wrong. Scorpio makes a great match with Libra because Libra keeps their mouth shut and would rather no drama. These signs will share a special understanding and sometimes speak their own secret language. Scorpio and Leo might give it a shot, but they can face problems down the road, especially if Scorpio is too serious in personal nature. Gemini and Scorpio will have a lot in common and often be interested in each other, but they will only work if they can talk openly and share their emotions. Scorpio needs trust in their relationship before they need anything else. Rap singer Jay-Z is a Sagittarius who is married to a Virgo, Beyoncé. This is a 70% compatible match. These two have the foundation for what lasting marriages are made of. In a perfect world, they create just the right balance for one another. They will understand each other's hang-ups, fears and means of control. They possess the ability to truly connect with one another because they will be able to provide each other with things they cannot provide for themselves. They differ in that Sagittarius usually wants to go out and Virgos would prefer to stay home. Sagittarius is also great with fellow fire matches Aries and Leo. Leo and Sagittarius will be super tight. The very best of friends. Fire loves fire because this element craves adventure and likes to keep things fresh, vital and exciting. Fire likes to travel and experience life. When two fire signs come together there is undeniable chemistry. Sagittarius and Pisces are the hidden zodiac soul mate match. These two tend to get along well and even each other out. Pisces has the ability to open Sagittarius up emotionally. Sagittarius believes in Pisces and wants to see them do their best. Opposites signs Sagittarius and Gemini will have sparks and a lot of heat, but as mentioned, opposites attract and repel and can usually run into problems--especially if there are other problems in the relationship occurring. Brad Pitt (Sagittarius) and Angelina Jolie (Gemini) are case and point of a Sagittarius/Gemini pairing gone wrong. Regardless, opposites are generally drawn to each other despite their differences. Two Sagittarius individuals in love will either really work or not at all. Either you cannot get enough of the person with same sign as you, or you want nothing and little to do with them. Sagittarius and Sagittarius will both love to travel, create random excitement, and seek constant adventure. They both might be guilty of saving money and flexing an uncanny charm to make things happen. Sagittarius wants an adventurous, passionate partner, they do not want a babysitter, but they do need a caretaker--someone who they trust enough to let in that can provide emotional support. Capricorn will be attracted to other earth signs like Virgo and Taurus. These signs have the same life goals, ethics and judgments as Capricorn and make for excellent team mates. Capricorn is looking for someone they can build things with and work together with on projects or businesses. Capricorn is looking for something consistent that they can rely on (someone who only has eyes for them), but Capricorn has very high standards and high expectations and therefore will never pick just any mate. Earth signs are hard-working and are attracted to people of a similar nature. Capricorn is the type that knows when it is their turn to talk, and when they should really listens to what people have to say. Capricorns likes grounded individuals who have a good grasp on reality. Capricorn also has a special connection with Pisces. Pisces will provide the (sometimes boring or too structured) Capricorn with the excitement they need and require to live a fun, full, and exciting life—Pisces will help over-achieving Capricorn to relax. Capricorn will show Pisces how they deserve to be treated. Capricorn will be attracted to Leo’s ambitious and flirty energy, but these signs tend to clash in the end and are not necessarily built to last. Capricorn works great with a Scorpio. Together they can get a lot of good things done, and quickly. Capricorn and Scorpio usually have a soft spot for each other and make for a couple that truly compliments each other in their generous nature. Aquarius has the ability to connect very well with other air signs like Libra, Gemini and other Aquarius. Aquarius and Gemini are a very strong team together that can be apart of amazing things and leave a legacy together. Both signs are emotionally reserved, very smart, social and open-minded. They make for a likable couple. They will want adventure, parties and lots of experiences in their life. Aquarius and Aries mesh well, they have tons of fun with each other and usually shares similar interests and future goals. They will have interesting conversations, which is important to both of them. Aquarius will usually be drawn to water signs because unlike Aquarius they are fully in-touch with their emotions. They like the free spirited, spunky, and good heart nature that can typically describe the Pisces. Justin Timberlake (Aquarius) and Jessica Biel (Pisces) are a Hollywood example of this pairing. Aquarius is also often attracted to Scorpio, but this match is not always build to last like Demi Moor (Scorpio) and Ashton Kutcher (Aquarius) who fell apart. Aquarius can also be really attracted to their opposite sign Leo. Opposites either work well, most of the time or not at all. Aquarius/Leo is a pairing that often comes together and usually lasts. Aquarius will bond with the adventurous spirit of Aries and Sagittarius, but these signs are emotionally detached and will not be good for opening up the emotionally-challenged Aquarius..
Pisces are soul sign matches with fellow water signs Cancer and Scorpio. These empathic, compassionate, creative and intuitive signs really click. Pisces and Scorpio is the ultimate combination. Each will possess a compassionate and heart-felt approach to life and each other. They will enjoy helping others and being there for one another, cheering each other up on bad days. Pisces is also great with earth signs: Capricorn, Taurus, and opposite sign Virgo. Pisces and Taurus are compatible overall, but this pairing can also be short lived if either is too immature and consumed by selfish desire. Taurus loves Pisces’ sparkling personality and good heart—these two just seem to jive. Even if they do tend to argue. Pisces simply has to be ready for Taurus because they are a sign that knows what they want, and this can feel like coming on strong for the Pisces. Virgo is the opposite sign of Pisces, and shows Pisces different ways of looking at things. They will have a strong connection, they will repel and attract, but will face challenges. Virgo does not always know how to support Pisces emotionally. Pisces also likes Capricorn because they will motivate The Fish to turn their dreams into a reality. Capricorn is so giving, and this is refreshing for Pisces who is always used to being the giving one in a relationship. Capricorn will challenge Pisces and praise them when they have achieved their best. Pisces may have difficulties with full-blown (not cusp sign) Libras and Geminis. These signs do not fully mix because Pisces holds onto things and Gemini lets it go. Even if they can be friends, they will potentially experience some ups and downs along the path of coming to accept each other. Aquarius is the air sign Pisces will connect to the strongest. They bond over their intelligent and eccentric natures. The new hidden soul mate match is Pisces and Sagittarius. There is something between these two as they will make the other feel good and maintain a generally positive vibe around others. There are a lot different published predictions for how Pisces and Leo will connect, but usually they really hit it off—even just as close friends, these two have real chemistry. 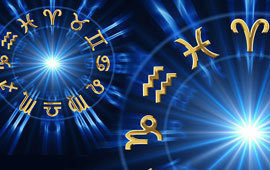 Click here to read your monthly horoscope! 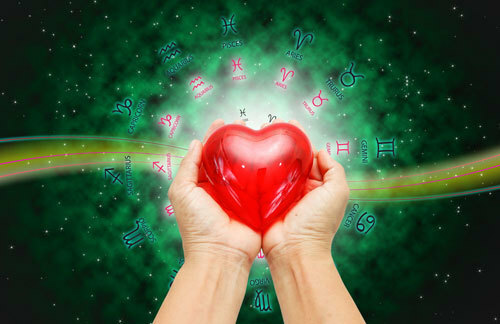 Are you and your boyfriend or girlfriend Astrologically matched? Comment below!